“I live in New York City where the upfront costs of investing in real estate are extremely high and Roofstock helped simplify the process of investing in other markets." Bryce has taken a more active interest in investing over the past two years and wanted to begin diversifying his portfolio with income producing real estate. He had invested in a commercial real estate fund but found it to be a very passive experience, and he wanted to take a more hands-on approach to diversifying his real estate investing portfolio. 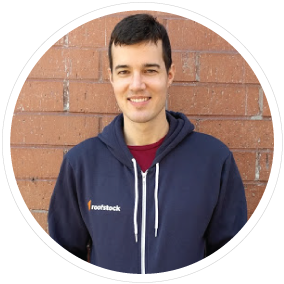 Roofstock helped Bryce find a simple way to invest in rental properties with tenants in place, where he could access inspection reports and property data to easily identify properties that fit his investment strategy. Bryce was able to rely on Roofstock’s thorough certification process and property inspection reports, meaning he could invest with confidence without having to visit the property himself. “I never needed to see the property in person. The certification process provided everything I was looking for to help me find the right investment property.” Roofstock also made it easy for him to calculate his expected returns, based on the rental income and estimated expenses, in order to select a high yield investment. Bryce selected a property in Orlando with good local school scores and a long-term tenant with over 1.5 years left on the lease. This provided him with reliable monthly income, while also ensuring that the property would continue to be attractive to families in the area for the long-term. Roofstock was able to help Bryce invest in a cash flowing Single-Family Rental house in Florida with the peace of mind that the property had been thoroughly inspected and would have a long-term tenant in place. After experiencing how Roofstock simplified the process of investing in rental properties, Bryce decided to purchase his second investment property in the Atlanta, GA market just five months later.